This publication is an indispensable source of information for students seeking support for graduate study in the mathematical sciences. Providing data from a broad range of academic institutions, it is also a valuable resource for mathematical sciences departments and faculty. 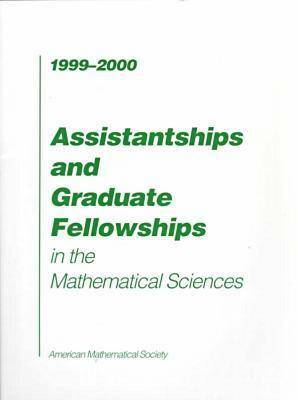 Assistantships and Graduate Fellowships brings together a wealth of information about resources available for graduate study in mathematical sciences departments in the U.S. and Canada. Information on the number of faculty, graduate students, and degrees awarded (bachelor's, master's, and doctoral) is listed for each department when available. Stipend amounts and the number of awards available are given, as well as information about foreign language requirements. Numerous display advertisements from mathematical sciences departments throughout the country provide additional information. Also listed are sources of support for graduate study and travel, summer internships, and graduate study in the U.S. for foreign nationals.